TRAP DESCRIPTION: This trap measures 3" Wide x 3" Tall x 10" Long. Its "solid" design works with a fold down entrance door which acts as the trip pan. 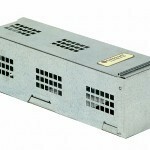 Mice, chipmunks, rats, shrews, voles, flying squirrels or other small animals enter and as they walk across the trip pan, the front door will then close behind them as they get caught inside. 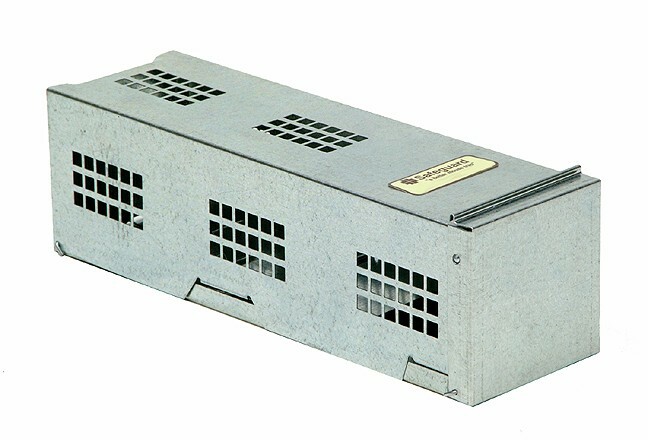 Made of sheet metal, this trap has an adjustable trigger and is great for gerbils, hamsters or other common pets which may escape into the home as well. TARGET ANIMALS: Just about any small animal under 4 lbs or less. LIVE TRAP 10\" x 12\" x 32\"